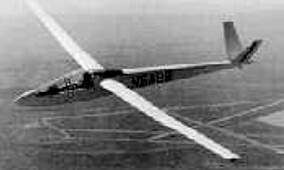 The 1970 World Championships were held at Marfa in Texas and Schreder designed the HP-15 for this contest to take full advantage of the high-lift Texan thermals; it was also intended to meet the new Standard Class rules which had come into force in 1969 allowing a retractable undercarriage and fixed-hinge flaps on 15m span sailplanes. A high aspect ratio of 33 and the high wing loading of 7.99 lb/sq ft were chosen to ensure high speed performance, and the HP-15 was of all-metal construction. 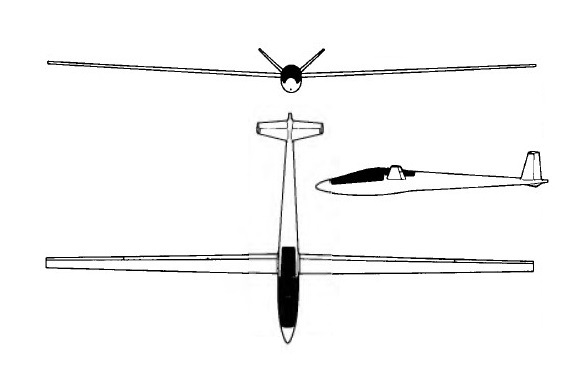 The two spar wings had only three ribs in each, plastic foam covered by rolled-to-contour metal skins and with plastic leading edges filling the intervening spaces; the ailerons droop in conjunction with the metal flaps. The fuselage is an aluminium monocoque and incorporates an aluminium butterfly tail with an included angle of 90°; this V-tail was a characteristic of previous Schreder designs. The retractable monowheel has hydraulic shock-absorber struts and the tailwheel is steerable. Flight trials of the HP-15 - it first flew in the summer of 1969 - showed it to have difficult handling characteristics and it did not, in the end, fly in the 1970 World Championships nor did it go into production. The wing was later retired and the fuselage re-winged.